Dan Egan is one of the pioneers of “Extreme Skiing.” He has been featured in twelve Warren Miller films, and is also co-author of “All Terrain Skiing” and “Courage to Persevere.” As founder of Skiclinics.com he is a long time coach for both teens and adults. Dan resides in the White Mountains of New Hampshire and runs his private camps and clinics throughout the world. Egan’s radio show is featured on www.boston.com/egan - ”Edging the Xtreme” on RadioBDC features cutting edge interviews with high profile action sports and Olympic athletes. The Proctor Freeski Team is built on creating a culture that fosters athletic peak performances on and off the slopes. Once limited to moguls and ramp aerials, the “free” in freestyle has been redefined in recent years with the addition of half-pipe and Big-Air competitions. 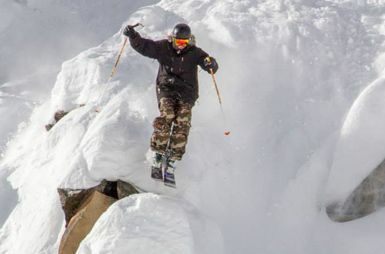 Proctor’s Freeride program has been developed for athletes who are looking to continue competing in freeskiing/snowboarding, or who are new to competition in the sport. Pre-season and post-season training trips to Copper Mountain, Colorado and Big Sky, Montana complement in-season USSA competitions around New England, ranging from Moguls to Slopestyle and Rail Jams. These competitions provide athletes the ability to express their individual style, while also being exposed to “Big Mountain Freeride” competitions to further expand their experience on the mountains. Proctor also competes against other Lakes Region schools in interscholastic "Freeride Series" competitions. Contact Freeride Director, Dan Egan, to learn more about Proctor's Freeride program. The Proctor Academy Freeski Team offers training camps year round. These camps are designed to teach fitness, safety and skills to enhance athletic performance. Read more below for camp offerings. 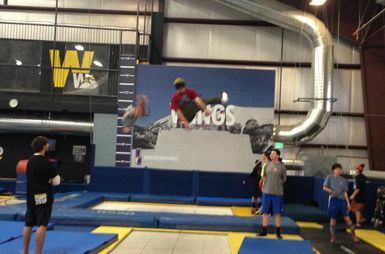 Copper Mountain Pre Season Camp - Held in November Athletes train both in Woodward indoor facility at Copper Mountain and on snow at Copper Mountain, Breckenridge and Keystone ski areas. Holiday Camp - Held over the first weekend in January this camp combines slopestyle and rails training wrapped around a USSA or USASA competition over the weekend. Spring Camp - Held the first week of Spring Break this camp focuses on big mountain skiing in the west. 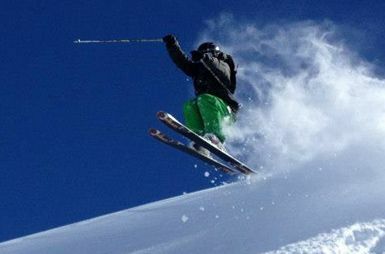 Training includes steep terrain skiing, powder and big mountain terrain. Skiers have the also have the opportunity to compete in a big mountain competition held in the west. Summer Camp - Held in late July and August team members have an opportunity to travel to Mt. Hood, Whistler and South America for camps and trainings. The Proctor Freeski Team competes at multiple levels including: Lakes Regional School League, USSA, USASA, and Ski the East Big Mountain Competitions. Athletes qualifying for Regionals, National, Rev Tour, Grand Prixs and other national events are supported with coaching. All athletes have set goals year to year and training and competition schedules are designed to meet these goals. The Proctor Freeski Team trains in season on snow at surrounding ski areas including, Killington, Loon, Ragged, as well as at our camp locations throughout the season. We ski 5-7 days a week in season. Pre season training includes, mountain biking, weight training and a range of activities designed to build overall wellness and fitness.